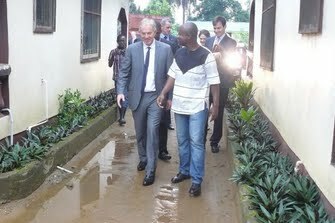 David Bonney is a journalist based in Monrovia, Liberia. I'm twenty years old, I was born and raised in Monrovia, Liberia and I'm now a student at the University of Liberia studying mass communication.. I started school when I was Four-years-old. I went to kindergarten at the Calvary Baptist School in 1999 and later moved to the Sister Shirley Kolmer Catholic School, where I obtained my high school diploma. 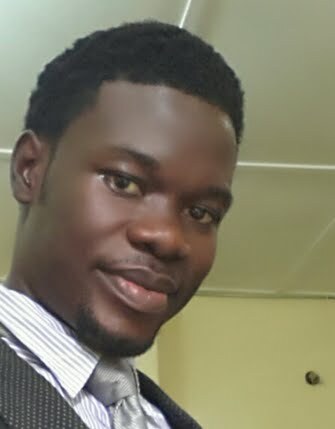 During my years in high school I served as an editor on the board of editors, I also served as a child broadcaster at the UNMIL radio Child broadcasting program, I worked at the Ministry of Information Culture Affairs and Tourism as a reporter at LINA (Liberia News Agency). I’m now studying mass communication and will soon be a graduate; I aspire to become one of the world’s best Journalists. I’m working very hard to make my dreams reality. I am a student of distinction and honor, after I’ve graduated from university; I want to persuade a master degree in Public Relation. I would love to work harder to achieve more during my lifetime. 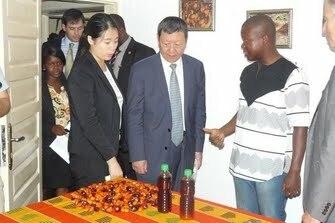 Chinese Businessman and philanthropist Niu Gensheng visited J-Palm J-Palm today! What a way to open our new office!! Loads of gratitude to my team at J-Palm Liberia who worked so hard day and night over the last few days to ensure a seamless presentation today. Life is getting back to normal in Liberia. 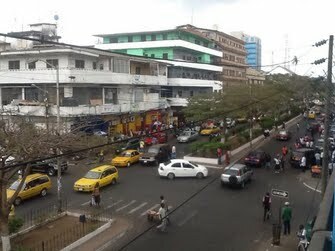 Cars and humans have filled the streets of Monrovia, the capital city of Liberia..